We’ve come to the last of my posts from Berlin. Sadly, all good things must come to an end. I’ve been trying so hard to come up with the right words to describe Berlin to close this series properly, but they seem to have escaped me. When I came back from Berlin, the first thing my mom asked me was how Berlin was, compared to other European cities I’ve been to. Is it prettier? Is it better? I couldn’t give her a straight answer because Berlin is really like no other. It’s like a huge melting pot of everything cool. 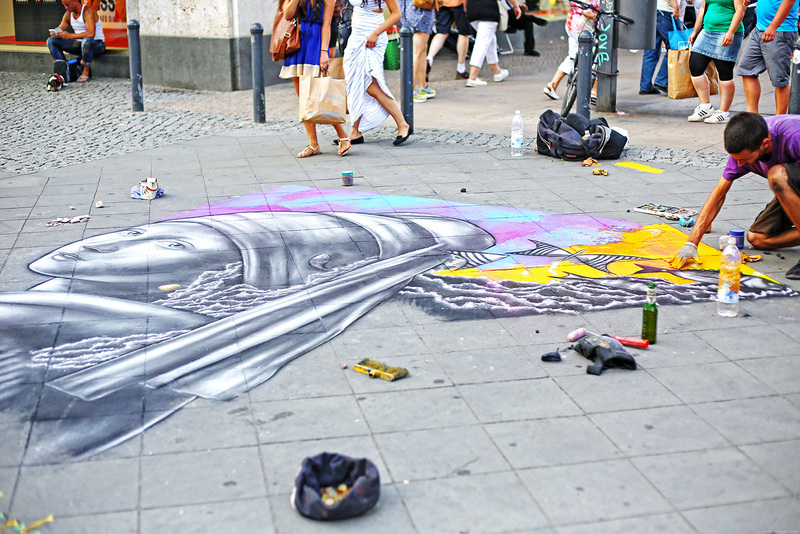 Even Berliners are hard to describe. They are such an eclectic mix of people from all over the world, all coexisting peacefully despite their differences. I guess this is what makes Berlin extra special and so hard to define–the fact that this city can be so many things to different people at the same time. I hope, even if I’m not able to put Berlin’s unique beauty into words, my travel diaries and this last set of photos are enough to show you why I fell in love with this hipster city. Berlin’s iconic Victory Column. 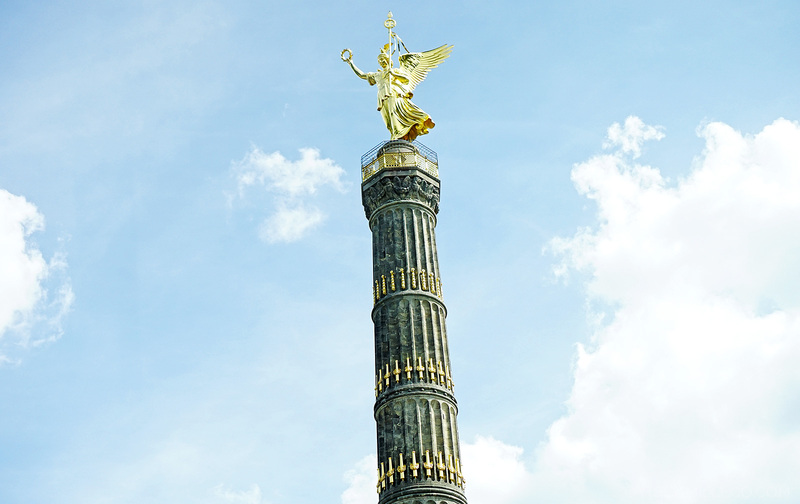 This symbol of Prussian military victory in the 19th century is 67 meters high. Tourists can go up its 270 steps to enjoy a spectacular view of Berlin from the Victory Column’s observation deck. Berlin is a bike city. Practically everyone here owns a bike. (Check out the people behind me.) And why not? It’s so convenient to bike here. There are proper bike lanes everywhere and plenty of bike cabins on trains and subways. 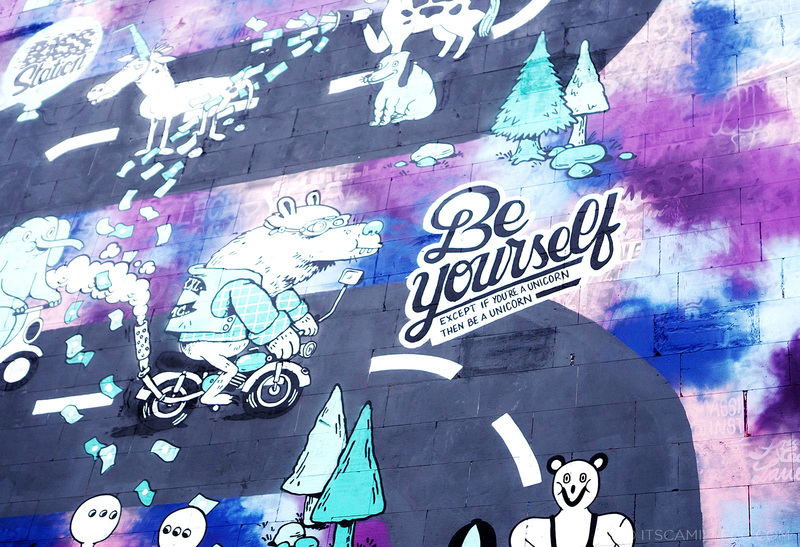 “Be yourself. Except if you’re a unicorn, then be a unicorn.” Wise words, wise words indeed. 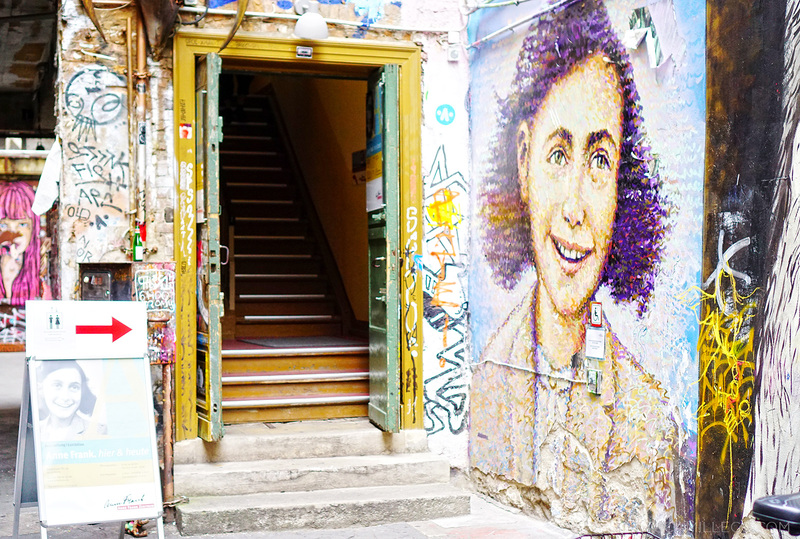 Seriously speaking though, Berlin is one of the cities I know that really encourages people to stay true to themselves. Being different is celebrated here. Hole in the wall shops around Berlin are the coolest. 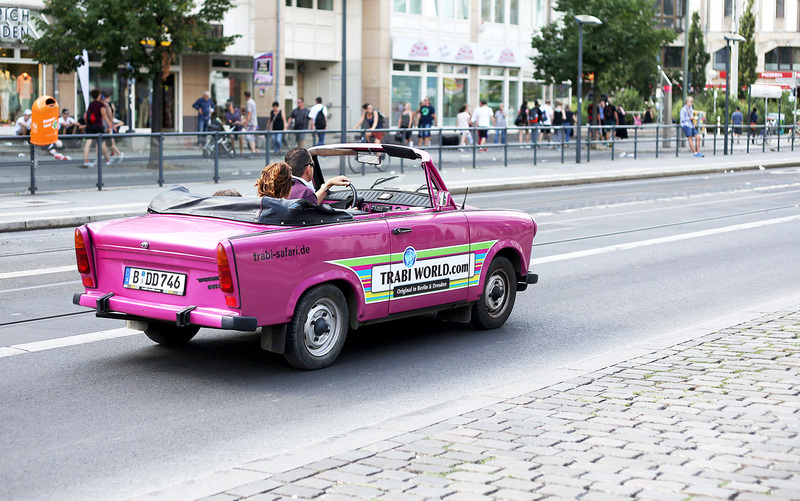 If not for Masha Sedgwick (one of Berlin’s top fashion bloggers) showing me around the city, I wouldn’t even know these existed. There’s even an Anne Frank museum near these shops. Meet Masha. I’m so grateful that she took time out of her busy schedule to go shopping with me the entire afternoon. I had such a great time getting to know Berlin’s fashion scene because of her. 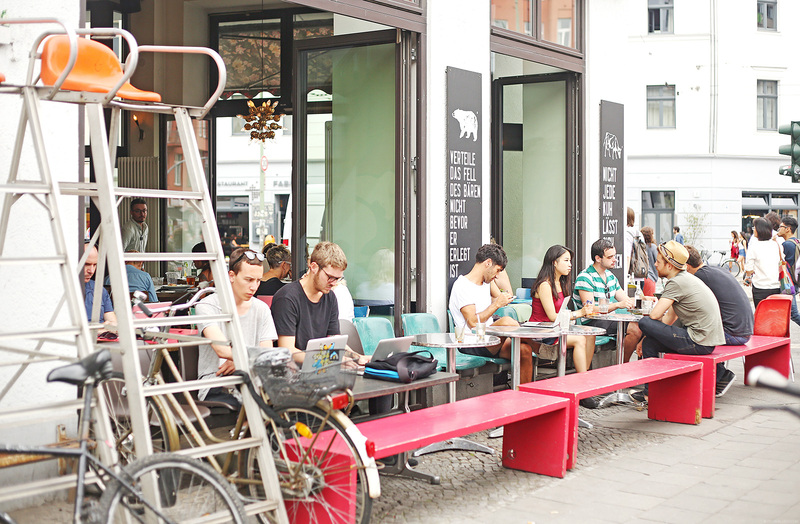 This is St. Oberholz Café, one of the very first wifi-hubs in Berlin. We were privileged enough to meet the man behind this cafe. He told us the story of how he thought of this idea and transformed this little corner into a space for writers, artists, geeks, freelance workers and basically anyone who needed internet. As a result, it’s now become the birthplace of various successful companies. He also transformed the upper floors of the building into a co-working space and an apartment for rent. Freelance workers and start-up companies can set-up a tiny workspace there and even hold conferences and meetings. 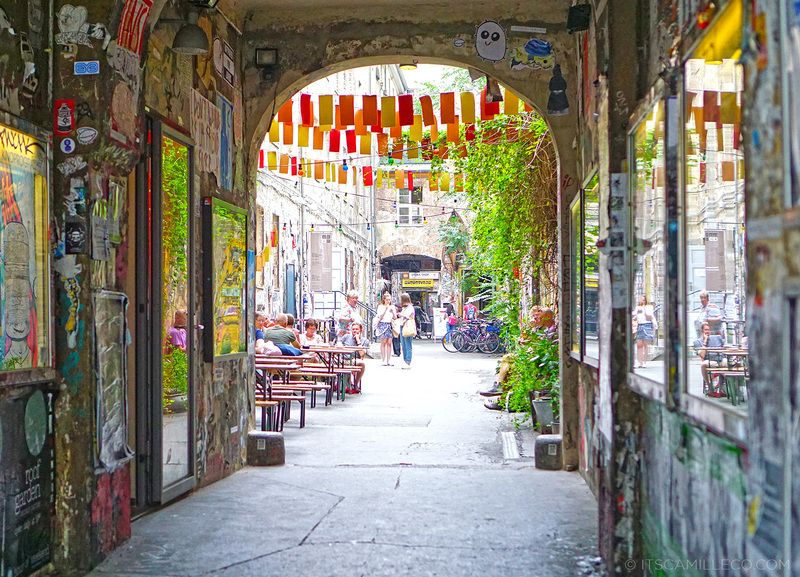 As I’ve said, Berlin is a melting pot of all sorts of things–and this holds the same for Berlin’s dining scene. 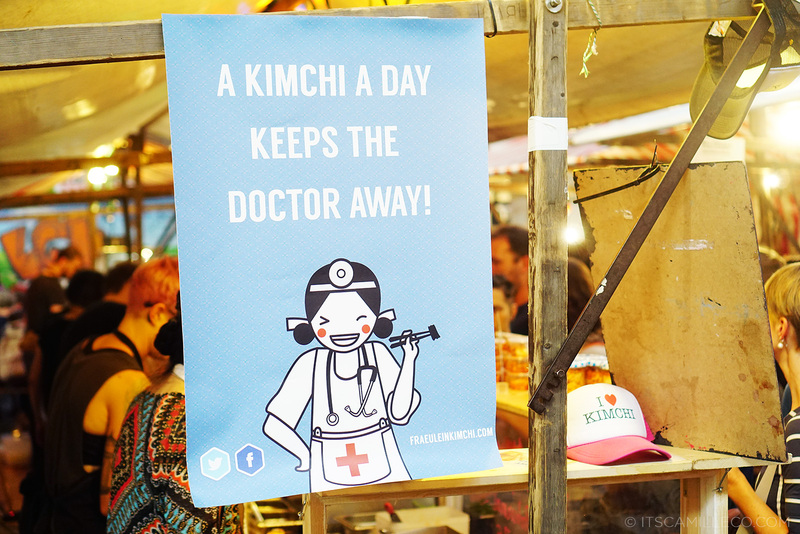 Unlike in other European cities, you won’t have a hard time finding different cuisines here. And since you all know how much of a foodie I am, this is a huge plus for me. 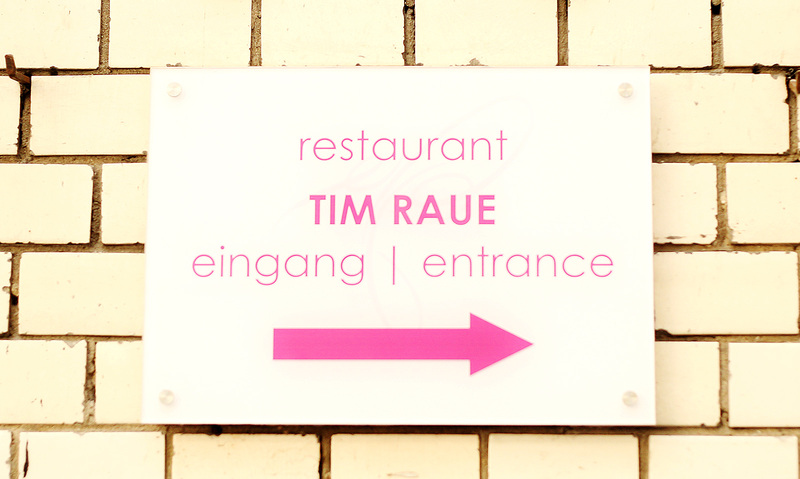 One of the many restaurants I tried in this city is Tim Raue. Tim Raue is a famous high-end restaurant that serves contemporary Asian cuisine. Food was impeccable, especially the duck! Of course, when in Germany, it’s only right to eat German food as well. First up, schnitzel! Masha insisted I try one at Claerchens Ballhaus, a 100-year old restaurant that turns into a dance hall at night. 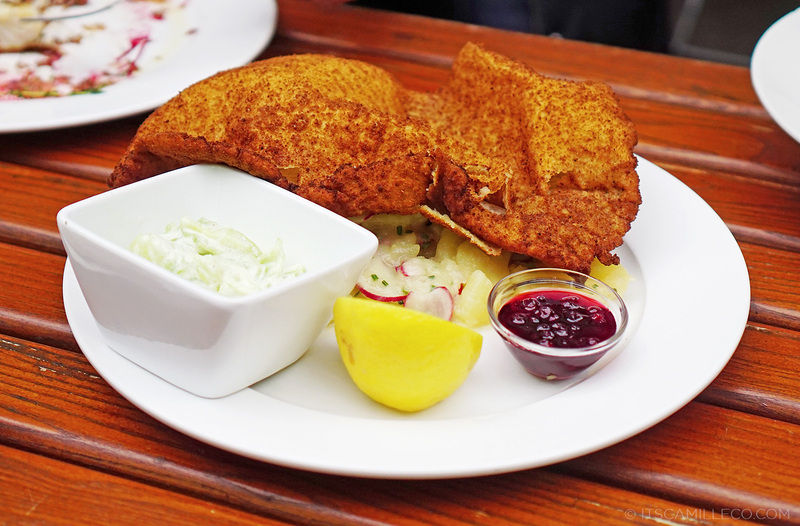 All I have to say is, this schnitzel was definitely worth the calories! 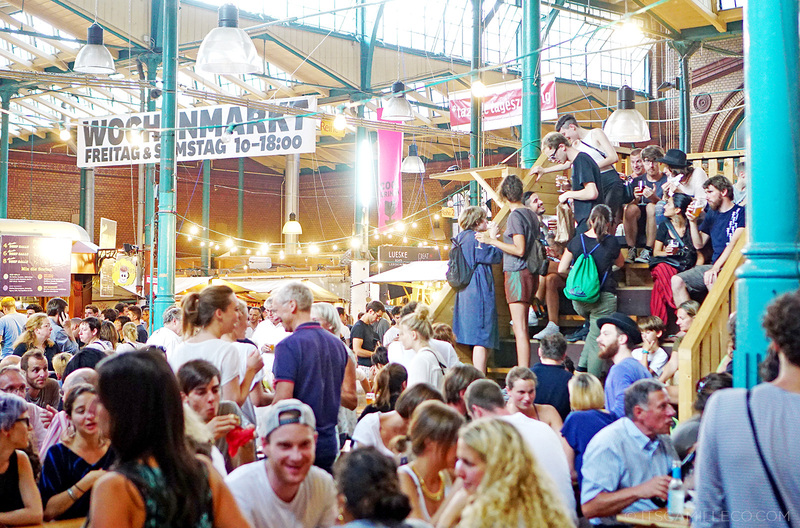 On Thursday nights, there’s a really famous night market at the hip neighborhood of Kreuzberg, inside Markthalle Neun. 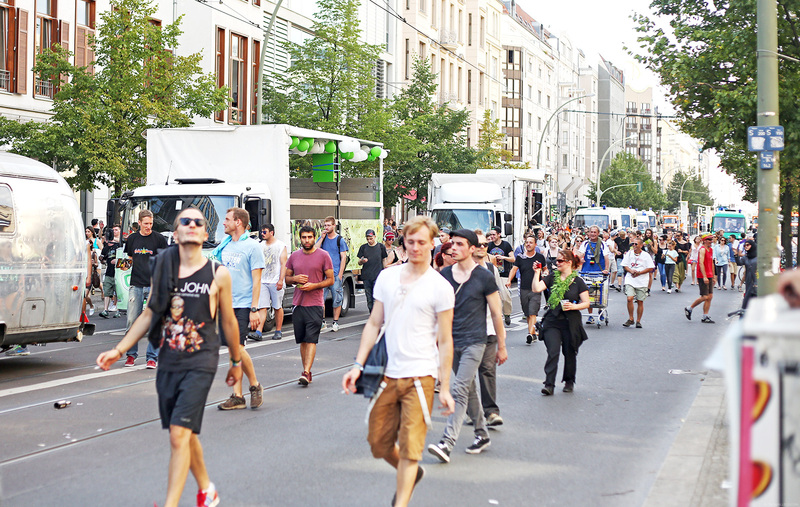 The best of Berlin street food and vendors sell the most sinfully delicious snacks, meals and drinks here. 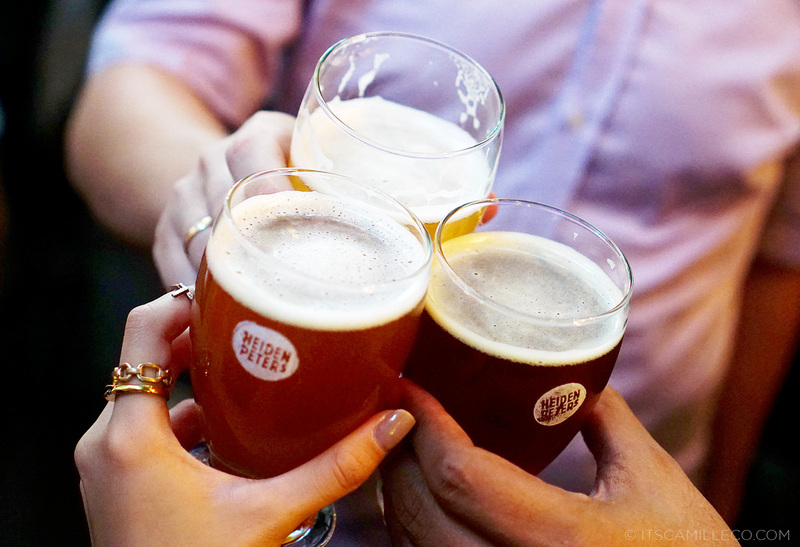 We got to meet the brains behind this foodie paradise so you can say, we got the best tour! 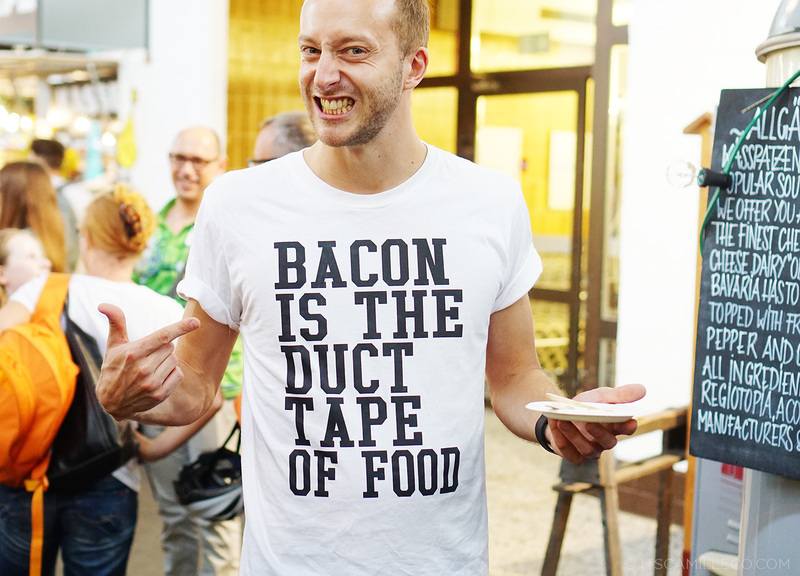 Who else agrees with his shirt? Say I! 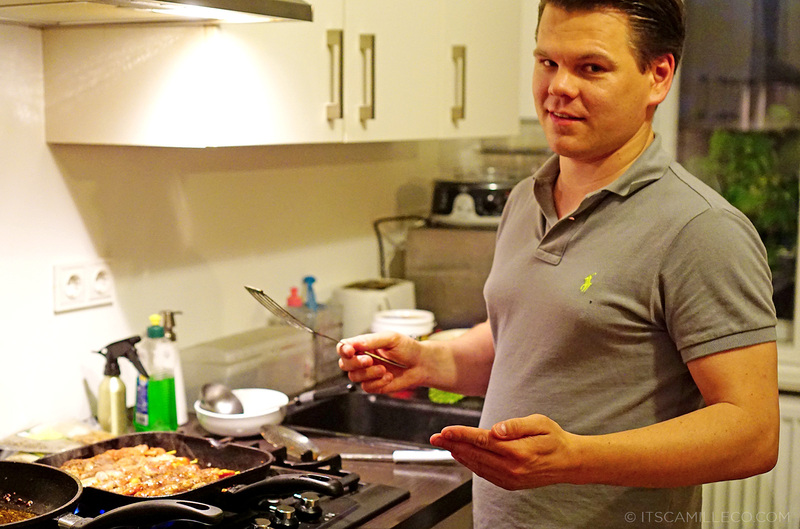 Meet Berlin’s food blogger, Per Meurling of berlinfoodstories.com. I died and went to heaven! 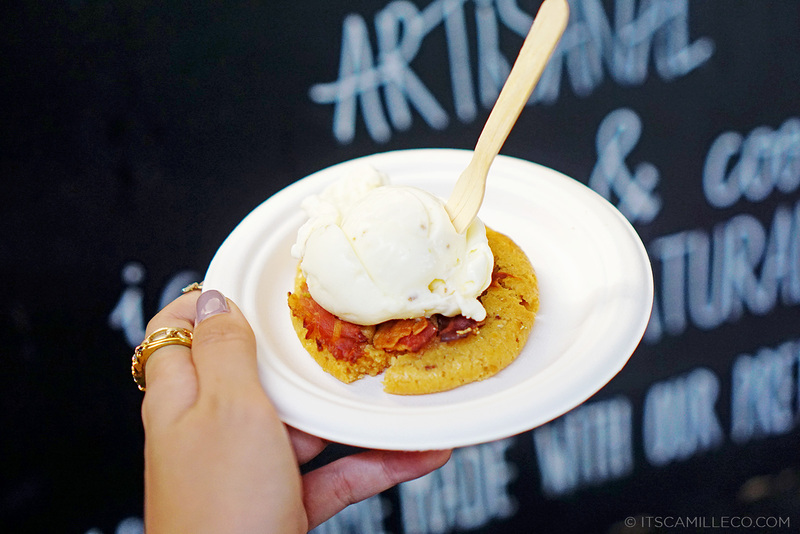 This is ice cream on top of bacon cookie. BACON COOKIE. Need I say more? My fellow Filipino, Anton Diaz of food and travel blog Our Awesome Planet, was able to convince me to try draft beer while we were in Berlin. I hate beer but in all fairness to the beers he made me try, they were pretty good. 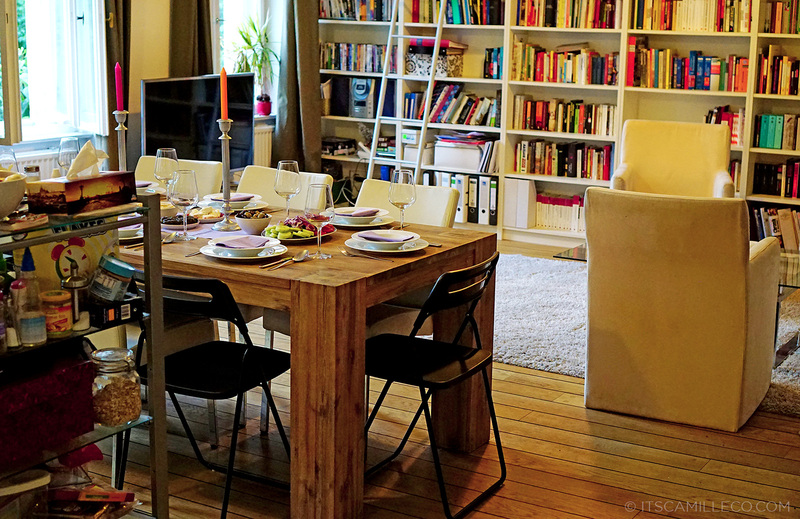 There’s an emerging private dining scene in Berlin now called supperclubbing. It’s run by passionate cooks who invite people to their homes for one-of-a-kind dining experiences. Can you guess who invited us to his home? Meet our chef for the night, Johanes, real estate agent by day and supperclub chef by night. He prepared so much food for us and served us great wine. I had such a great time! I only hope someday, we’d have a booming supperclub scene in Manila too! What’s a trip to Germany without trying sausages? Currywurst, anyone? These are just some of the dishes we tried at KaDeWe’s famous food hall. How about some chocolates? 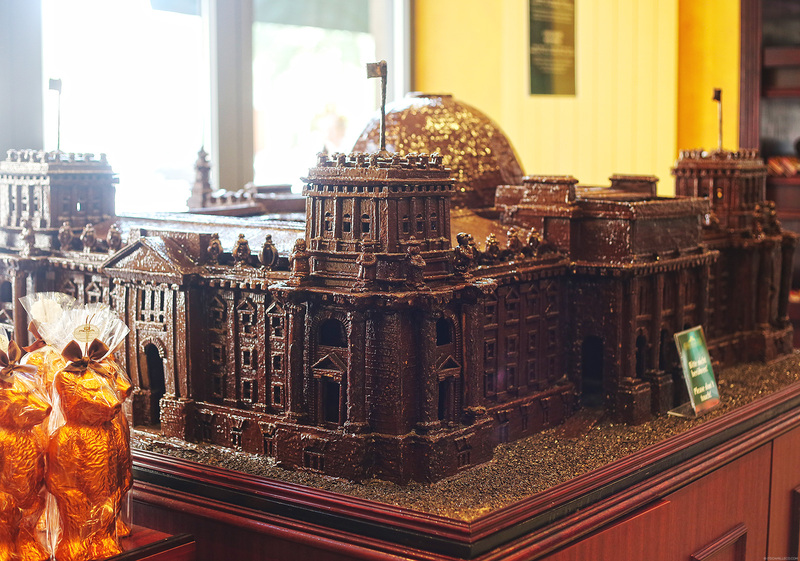 Look at this huge chocolate version of the Parliament Building at Berlin’s famous chocolatier, Fassbender and Rauch! 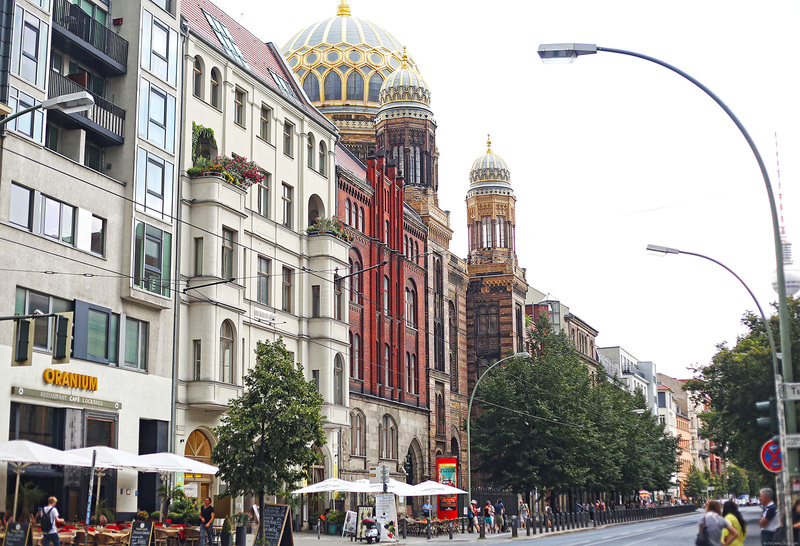 That structure over there with the dome lined with gold is Berlin’s main Jewish synagogue called Neues Synagoge or New Synagogue. Is it just me or is Berlin’s Fernsehturm or TV Tower (the one with pointy tip) visible from all over the city? I keep spotting it everywhere! 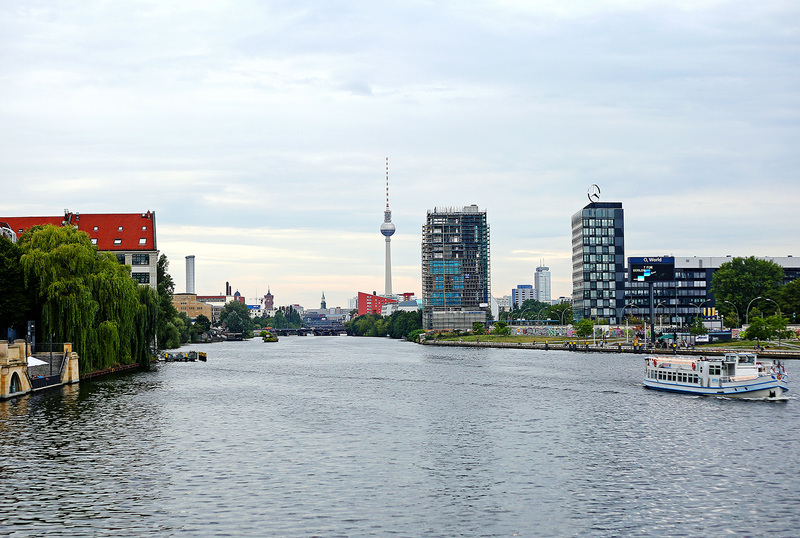 Tourists can actually go up the TV Tower for another spectacular view of Berlin. Before we left Berlin, my sister and I stumbled upon the Hanfparade, which is a huge demonstration for the legalization of Cannabis in Germany. At first, I thought it was just a roving music festival because each truck had a DJ spinning his or her own music as crowds danced along the street. It was literally like one huge street party! Policemen were around but none of them stopped anyone from smoking up. Apparently, it’s legal to smoke weed in Berlin, but not to buy and sell. (I’m not really sure. Please do correct me if I’m wrong.) Either way, I’ve never seen a happier bunch of people, and so many of them at that! The map of Berlin right behind me. 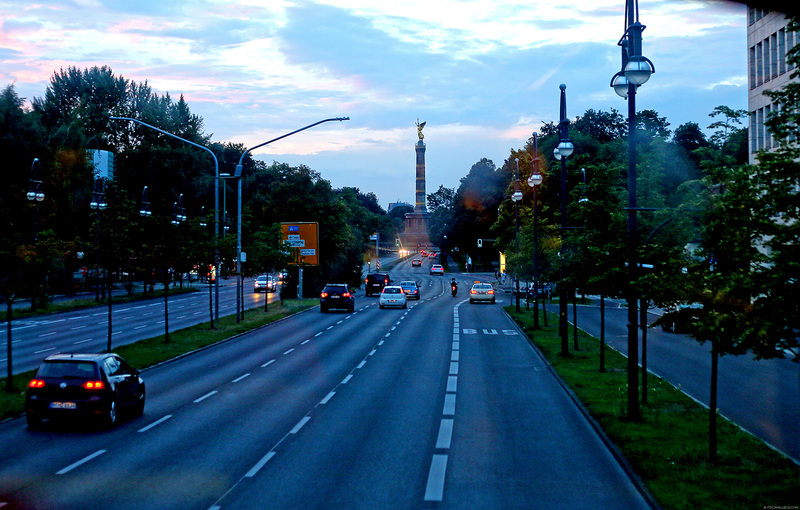 If you’re a tourist on a budget and you want to see Berlin’s most iconic tourist sights, I recommend riding the Bus 100. It’ll take you to most of the important ones. Ride it when the sun is about to set because everything looks even more magical with the skittle skies and warm city lights. That’s the Brandenburg Gate right behind me. No trip to Berlin is complete without a proper photo with it. Iconic! There you have it! 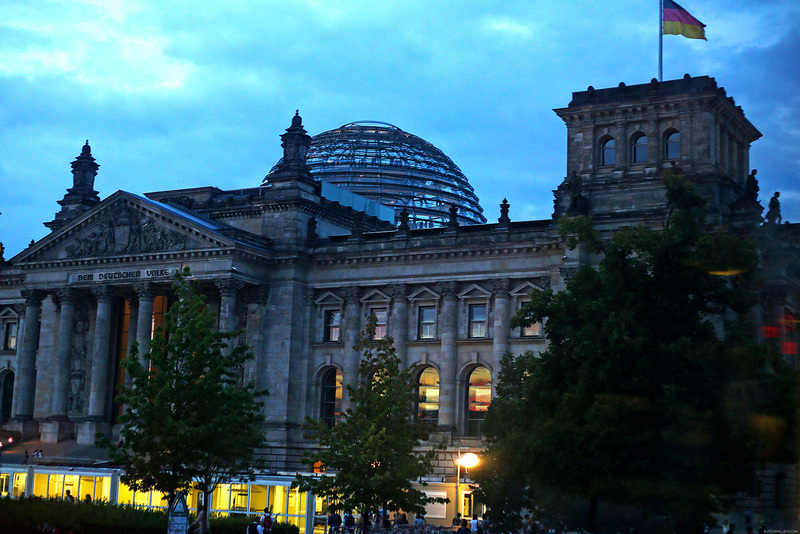 A final look at the city like no other, Berlin. I’m definitely coming back for more. There’s still so much to explore in this city! Take care and hope to see you again! 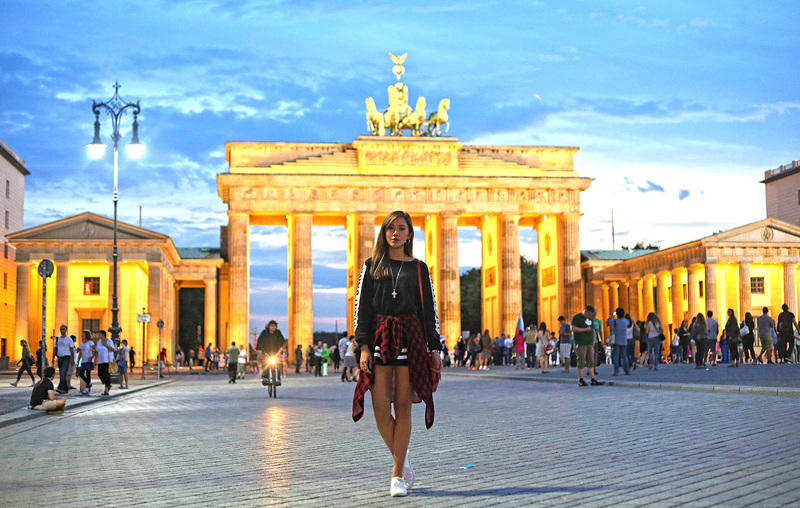 Berlin is so wonderful but I’m excited to your Bali post and your new finds in HK!!! You’ve been traveling a lot this year and you still have 5 more??! Woah! Can you tell us what country are those? hehehe! 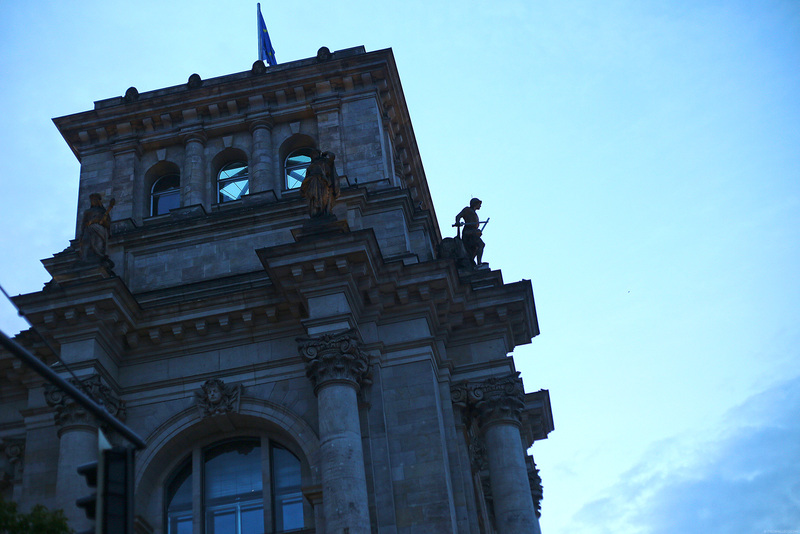 Just looking at the photos on your past blog posts, I can tell that Berlin is indeed a lovely place. :) Thanks for “taking” us with you! I love reading your blogs. My family’s bonding moment is a yearly vacation in Europe. We all love Germany! Also enjoyed the Fassbender & Rausch chocolates! It’s also worth visiting their Romantic Rhine like Bacharach. Oh I must check that out when I do go back :) Thanks Susan! I’ve actually been to Berlin a few times already but your series actually showed me places I have yet to see! :) So you’ve done a superb job in finding all those cool things! Lucky you, being introduced to all these cool people and even being shown around by Masha! :D Her blog’s actually one of my few daily reads next to yours. Yes! You’ll definitely love it! I wished that for a moment too! I absolutely love this post and believe that you were able to find some fitting words to describe Berlin. Therefore, as a Berliner, I do approve of your words, lol ! Anyway, regarding the bike part: Berlin might be a bike city to some degrees but it was never build to be one – unfortunately, that is. I’m glad you’ve enjoyed your stay and we’d love to meet up with you some other time. oh i meant bacon cookie hahahahaa!! but still it’s bacon haha!